The party scene is definitely what’s on most people’s minds whenever anyone mentions our magical city, but Las Vegas is also a fascinating place to simply capture scenery on your camera. 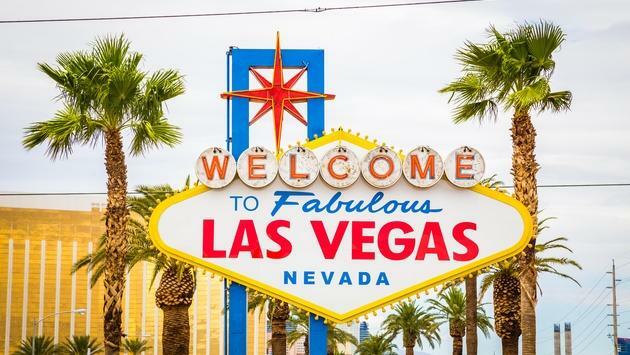 Each hotel, resort, and casino along The Strip showcases its own theme, style, and signature elements that allow it to stand apart from the rest. Also, if you make your way off the central hub, downtown Vegas offers up plenty of photography hot spots as well. When you have the kind of landscapes and subjects like this desert town has to offer, it’s almost impossible to take a bad picture no matter where you are. When you start planning your street photography shot list, think of what makes Las Vegas iconic to you. What do you want to remember? Is it the skyline? The architecture? The people? Or perhaps it’s the beautifully plated dishes found in the city’s best restaurants? There’s not enough time to see everything in one trip, but we’ve created a shortlist of photographic spots in Las Vegas to get you started. A trip to Las Vegas isn’t complete without a selfie by the Welcome to Las Vegas sign. After all, if there’s not a picture to prove it, did it really happen? Head past Mandalay Bay & Casino at the golden hour and put your best face forward. Now that there’s an upgraded parking lot surrounding the sign, it makes it easier (and safer) than ever to get the ideal shot, since in the days past the access to the sign was by way of the media curb. You can't take a trip to Las Vegas and skip the enchanted scene found at the Fountains of Bellagio. 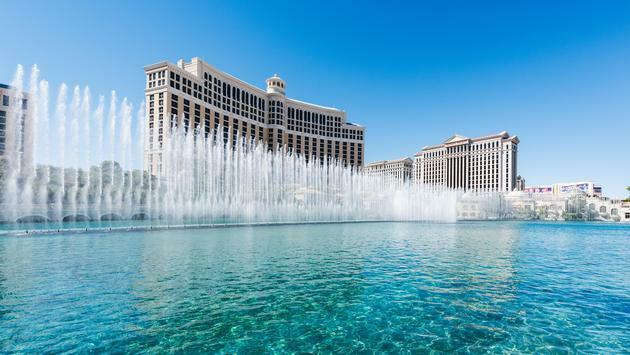 Although the fountains are always running, the synchronized light and music show is scheduled at various times during the night & day, so make sure to time your walk when you’re headed to that part of the Strip. Bliss Dance is a breathtaking, 40-foot-tall sculpture of a dancing woman, celebrating the strength of a woman who is both safe and present. The structure and scale of Bliss Dance was inspired by artist Marco Cochrane's first experience at Burning Man, an annual arts and culture event in Nevada's Black Rock Desert, where Bliss Dance later debuted. Most recently, Bliss Dance resided on San Francisco's Treasure Island as a public display before being refurbished and returned to the desert as a centerpiece of The Park's natural landscaping and Nevada inspired design. The exterior of Excalibur Hotel and Casino Las Vegas is like stepping back in time to the days of King Arthur and the Knights of the Round Table. In a city where everything has been modernized, it’s fun to feel like you’ve step back in time, if only on the outside. You’ll want to head outside to the pedestrian bridges between Excalibur, NYNY and the MGM Grand to get the best shot of the castle peaks in the background. If you’re a fan of contemporary architecture and design, the space in and around ARIA Resort & Casino is a photographer’s dream come true. The multiple angles and sleek panels create a futuristic quality that focuses on sophisticated complexity, especially when compared to the more ostentatious design personalities of casinos further down the Strip. Although there’s no substitute for the real NYC, New York-New York Hotel & Casino does a good job at capturing the essence of one of the world’s most beloved cities. From the towering Chrysler Building to the iconic Brooklyn Bridge, there are enough featured sites to make you feel like you’ve reached the five boroughs all by simply walking down the street. Plus, this casino has one thing the original NYC doesn’t: a roller coaster atop a building, one of the most popular attractions in Las Vegas. And, a bonus spot here, if you head out to the pedestrian bridge between the NYNY and the MGM Grand you can get some great shots with the Brooklyn Bridge and the Las Vegas Strip in the background. The botanical beauty of the Bellagio Conservatory is transformed to change with the seasons. Every spring, summer, fall, and winter, guests can expect to enter a brand-new world just steps away from the hotel lobby complete with recycled trees, flowers, plants, and decorative displays to fit the theme planned for the 14,000 square-foot space. One of the most heavily trafficked areas inside a casino on the strip, you should plan on spending some time getting that perfect selfie. The Skyfall Lounge, located adjacent to Rivea at the Delano Las Vegas, offers 180-degree views of the city along with an evolving nightlife experience that gradually increases in tempo as the night progresses. The warm and inviting space makes it possible for guests to celebrate with libations while watching the desert sunset. Nearby high above the towers of Mandalay Bay is the Foundation Room. Located on the 63rd floor of Mandalay Bay, this is the perfect place to take in the best view of the Vegas strip while enjoying live music entertainment. MGM Resorts International is a global entertainment company with worldwide locations featuring best-in-class hotels and casinos, state-of-the-art meetings and conference spaces, spectacular live and theatrical entertainment experiences, as well as an extensive array of restaurant, nightlife and retail offerings.